This is a free online quilt-along based on Katja Marek’s book Distinctive Dresdens. Discover a variety of Dresden Plate designs that shine with intricate style. 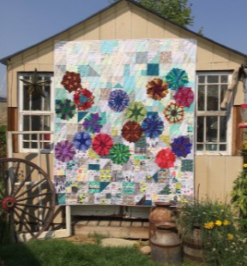 Sew each stunning Dresden on a sewing machine or by hand using English paper piecing and traditional piecing--Marilyn shows you how every step of the way based on Katja Marek’s instructions.